What documents are needed to go to Georgia? Only a passport is required. Internal / civil passport is not suitable. Do I have to have a biometric passport? No, a regular passport will suffice. With biometric too, without any problems will be missed. Are there any restrictions on the validity of the passport? 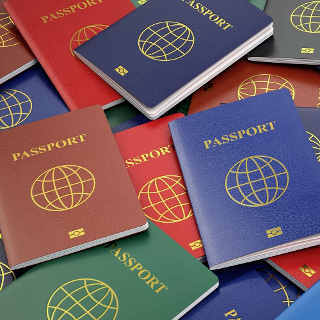 Passport must be valid for 30 days after the planned date of departure. In other words: if you plan to leave on January 1st, then your passport must be valid for another month after you leave. This restriction is introduced so that in case of a delay in leaving due to unforeseen circumstances you will not have problems with documents. Can I go to Georgia without a passport? A visa is not required to enter Georgia. Those who enter have the right to stay on the territory of Georgia for up to 90 days without the need to obtain a visa. If you plan to stay longer, you can get a visa and stay in the country up to one year. What will happen if you stay in Georgia for more than 90 days without issuing the relevant documents? When leaving you will be required to pay a fine of about $ 100. What you need to know when crossing the Georgian border? For how long can Georgian citizens living abroad come to Georgia? Georgian citizens can stay in the country as long as they want without any restrictions. I used to be a citizen of Georgia, can I come freely? Today in Georgia there is a document confirming your citizenship, which is called ID. If you have this document properly registered in the House of Justice, there are no problems. Can I go to Georgia by car / motorcycle? Yes, a lot of tourists travel by car to Georgia.